Cool Down Time – What do I do when my child is Angry? Don’t give up. Keep trying different ideas. What works for one child does not always work for the next. Parenting children is not a cut and dried task. You can’t put Parenting into a box a “One method for all and the child will turn out perfect idea”. 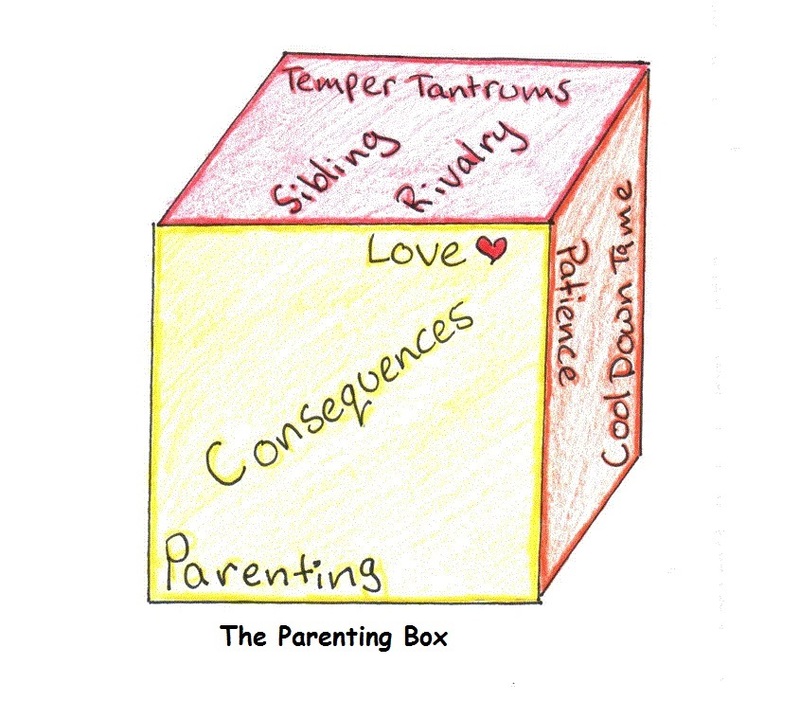 If only you could put parenting in a box…. One thing I can tell you is, when a child is angry or having a Temper Tantrum they all need a cool down time. (Don’t we all) How or what that cool down time looks like for each child may vary. Some children might need to be alone to cool down, others might do better with a snuggle with mom or dad on the couch. It depends on the situation and how upset the child is. Sitting down and being curious about their feelings always worked best. In Step Parenting they teach Phrases that started with “Could it be your upset because ________? Fill in the blank with whatever the current situation is…Max was hitting you, Mommy couldn’t play right now, We had to leave the park or whatever you think the source of the problem is. That one phrase opens the door for the child to identify and share their feelings with you and if you guessed wrong and it was maybe something that had happened earlier in the day it opens the door for them to correct you and share what was really upsetting them. Children just want to be heard and being curious is the first step to discovering what is causing their frustration. Next Birthday Parties on a budget!